Birth*: Moses Falkner Jr. was born circa 1805 at Orange Co., NC. Marriage*: Moses Falkner Jr. married Eliza Barton on 25 January 1826 at Orange Co., NC. Death*: Moses Falkner Jr. died circa 1840 . Marriage*: Murry Charles "Jack" Falkner married Cecile Edith Hargis on 6 September 1922. Birth*: Murry Cuthbert Falkner was born on 17 August 1870 at Oxford, MS. Marriage*: Murry Cuthbert Falkner married Maud Butler on 9 November 1896. She was the daughter of Anderson "Ancie" Falkner and Sallie Jane "Creder" Roberson. Marriage*: Nannie Falkner married Thomas Wells Faulkner, son of Rowan Faulkner, on 21 May 1902 at Vance Co., NC. Nannie Falkner, age 17, is married 21 May 1902 to Tommie Falkner, 21, at the residence of her father. Wit: Anderson Falkner, Champion Falkner, and J.M. Robertson. 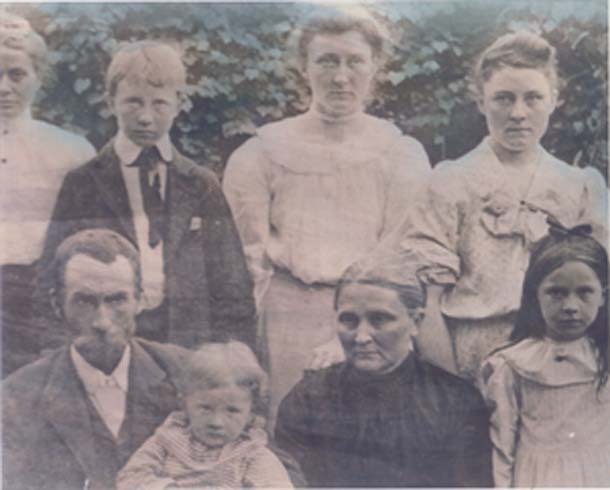 Birth*: Nannie Russell Falkner was born on 10 September 1860 at Warren Co., NC. Marriage*: Nathan Falkner married Sarah (?) before 1769. [S34] Mona Forkner Paulas, The Forkner Clan Vol III, pg 169. [S833] 1900 Halifax Co., N.C. Census, pg 21a. Birth*: Noel John Falkner was born on 5 May 1812 at NC. Birth*: Otis Green Falkner was born on 21 March 1887 at Vance Co., NC; Vance Co. Delayed births indicates the fathers name is Otis Green Faulkner and mothers name is Jeffers Rosa Medlin of child William Green Faulkner. Birth*: Pattie Jones Falkner was born circa 1851 at NC. Birth*: Perry Lee Falkner was born on 11 January 1913 at Vance Co., NC. He was the son of Sidney Lewis Faulkner and Alice May Mosley. Burial*: He was buried after 31 October 1986 at New Sandy Creek Baptist Church Cemetery, Vance Co., NC. Birth*: Raleigh W. Falkner was born on 15 July 1870. Death*: He died on 16 July 1870 . He was the son of William Clark Falkner and Elizabeth Houston Vance. Birth*: Rebecca Falkner was born circa 1835 at NC. Death*: Rebecca Falkner died after July 1880 at NC . [S242] Henderson Gold Leaf, 24 Jul 1902. Burial*: She was buried on 28 July 1929 at Sulphur Springs Church, Warren Co., NC. [S21] N.C. Marriage Bonds unknown file number, pg 2510. [S65] 1850 Granville Co., N.C. Census, pg 67. 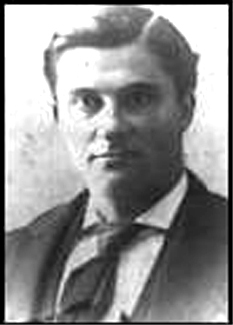 Birth*: Richard Pierce Falkner was born on 3 June 1852 at Warren Co., NC. Death*: Richard Pierce Falkner died on 21 September 1938 at Vance Co., NC, at age 86 . Death Certificate lists his parents as William Henry Falkner and Frances Queen. Birth*: Robert H. Falkner was born on 7 November 1870 at NC. 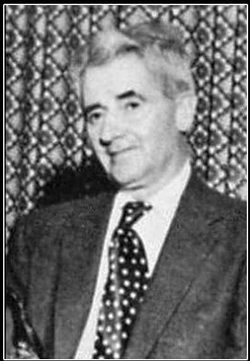 Birth*: Robert Macon Falkner was born on 6 July 1909 at Henderson, Vance Co., NC. He was the son of Hamilton Overton Hammie Falkner and Eugenia Alice Hicks. Birth*: Rosa Lee Falkner was born on 22 April 1867 at Franklin Co., NC.